The county budget process in California plays a critical role in directing dollars to support public services and systems. Although county budgets are shaped to a certain degree by budget and policy choices made at the federal and state levels, they also reflect the priorities of local residents and policymakers. 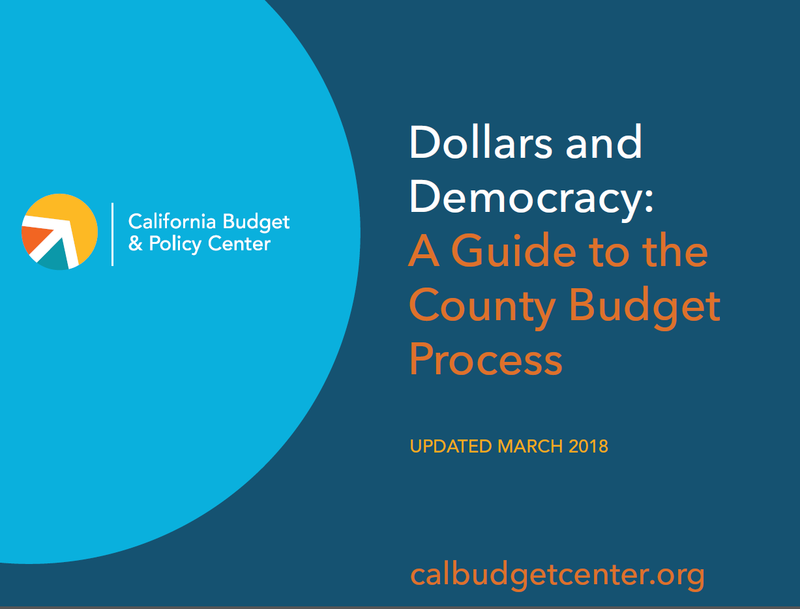 In an effort to build an understanding of, and broaden engagement in, county budget deliberations, the California Budget & Policy Center has created a new resource modeled on our popular guide to the state budget process. Dollars and Democracy: A Guide to the County Budget Process provides an overview of the year-round county budget cycle, details the roles of the key players (including the authority counties have to raise local revenues), and lays out the timeline for county budgeting as well as opportunities for input. Read the county guide. As a companion to the full guide, the Budget Center also released a county budget process infographic in April 2017, Navigating the County Budget Process. 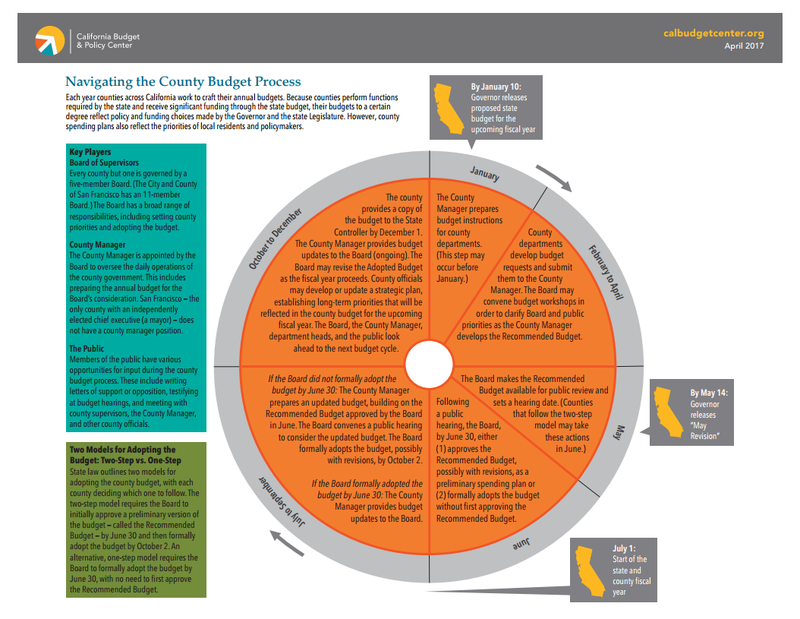 This infographic illustrates the key steps in the county budget process — including how it interacts with the state budget cycle — as well as the respective roles of the Board of Supervisors and the County Manager. Download the infographic.